Have you met the talented Joel Acheampong? 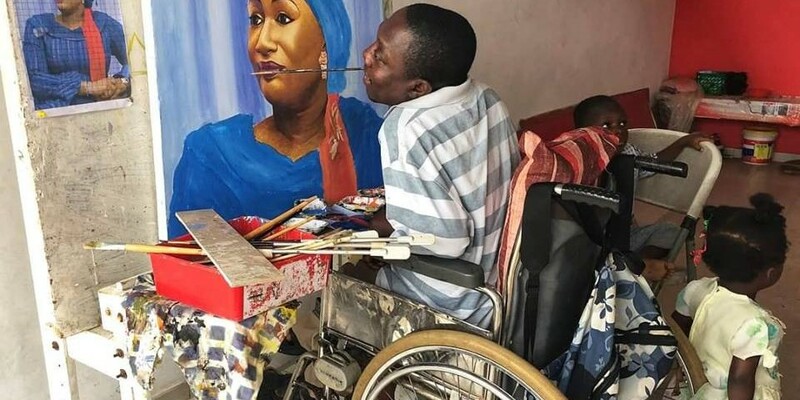 He is a Ghanaian artist who became a quadriplegic at 7 years old after being in an accident. 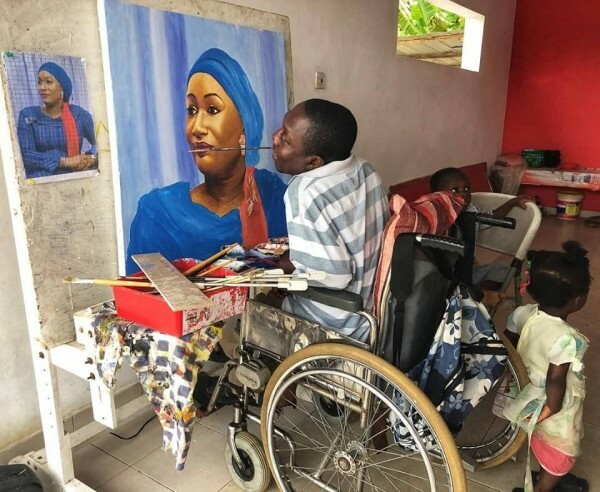 Here, he’s painting the 2nd lady of Ghana Samira Bawumia with his mouth. He hasn’t let his inability to use his hands stop him from painting. WOW!! !